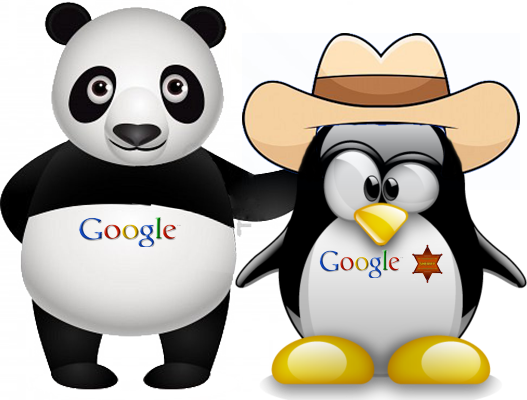 HomeblogHow Google's Panda and Penguin Algorithms Updates will affect Our SEO Service? Here's a better newsflash: No matter how many of these articles are written or how many adjustments Google makes, search engine optimization is still alive and well -- and will continue to be. If you’ve been reading our blog and following our advice you should have nothing to worry about because you will already be creating good content. If not you might want to pay attention because the adjustments to the algorithm are all about devaluing sites that don’t appear to be doing their SEO organically. What this means is poor content, created only for the purpose of “gaming the system” will be found and devalued. Keyword stuffing and using unnatural language in your copy will definitely attract the attention of Google but not in a good way. Google strives to deliver the best possible user experience so they have committed to weeding out the content that is designed only for their algorithms. The only way to rank better on Google now is to make sure you’re writing good, rich, original content that humans, not Google, will want to read. Keyword research will always be important, because that’s how people search for things, and it will always be the core of how Google tries to serve them the most relevant content. What is important is what you do with your keywords. Title tags, descriptions and H1 text are still important use your keywords there. While writing your copy though, you need to be trying to sound as genuine and organic as you possibly can. Try to work some keywords in to your natural writing, make sure it sounds natural if you keep putting keywords into your copy where they don’t read properly or don’t make sense, google will find you.